I remember in college sitting around with my friends and talking about what it would be like if marijuana were legalized. Most of our visions centered around going to the local mini-mart and buying a pack of Marlboro Green. How far off could we have been? Just go to any state where marijuana has been legalized for medical or recreational use and you will quickly see that this business is not only here to stay, but whoever was able to get in on it is going to make lot's of money. But with ... See More all of that money has come the very corporate practices that most marijuana patients/enthusiasts are completely against...in fact the yin to their yang. In my own home state of Ohio, we had a legalization bill voted down not because the people didn't want to legalize it, but rather the people behind the bill wanted to have a monopoly where they were the only ones allowed to grow and sell it. Fast forward a few years and Ohio passed medical marijuana legislation but ask anyone who wanted to open their own dispensary and they quickly found out that corporate interests in the form of outside money and previously owned dispensaries were the only people having their applications approved. Not only that ,just the other day there was an advertisement from former Republican Speaker of the House John Boehner about a marijuana industry seminar that helped people invest in the marijuana industry. My how far we have come! If this wasn't enough to show how corporate interests and monopolies are taking over the industry, the financial banking companies have started taking advantage of dispensary, growers, and merchandisers in the industry in the form of only offering high risk billing and payment solutions. This comes in the form of outlandish credit card processing fees and banking fees which costs these companies hundreds of thousands of dollars every year. Its monopolistic because the same companies that refuse to process their payments are the same companies starting high risk processing companies leaving them no options but to take the higher rates. This is going on across the country and the hypocrisy of politicians who were completely against it 5 years ago are the very same people now allowing these practices to happen. The only thing that changed was the fact that this a billion dollar industry now and the special interest groups have now gotten politicians in their back pocket. 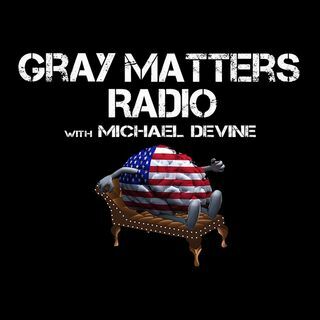 To help us discuss this topic we are inviting Sami Spezio & Dominic Buccilla from Gray Matters Radio's new sponsor Canna Group . The Canna Group LLC was founded on a platform of 30+ years operational experience as consultants in the merchant services industry. Our Mission is to consult and empower business within the dynamically evolving cannabis industry to understand how implement electronic payments into their operation plan. We offer expert knowledge on the ever-changing laws that allow all cannabis businesses, from seed to retail, to accept and utilize debit-based card transactions in a safe environment that will eliminate the risk of cash-based business.